What kind of quality time have you been spending with your dog lately? Teton and I had some nice T-Time earlier this evening when we took a walk ’round the neighbyhood. Then – and I know Teton was pretty excited about this – we brushed our teeth together. Contain your excitement, people. The tooth brushing is going well. I’ve managed to brush TLB’s teeth almost every day since our first post a few weeks ago. I don’t think he loves it, but he humors me. How did I not find that gem before now? Too bad I didn’t get a shot of Teton like this. All right, enough about oral hygiene. This post is about technology! If you do, I’m guessing that you’ve got some apps. They’re pretty awesome/addicting, so I can’t blame you. What was the first thing I searched for in the App Store on my iPhone? 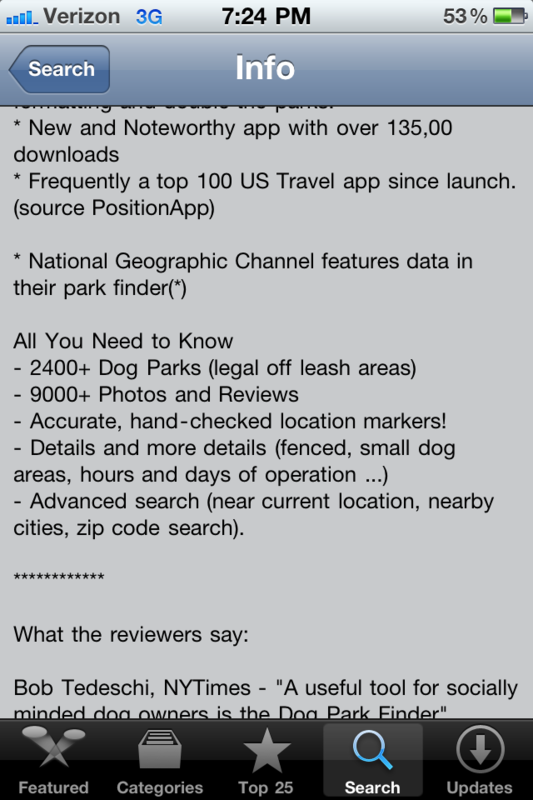 My searching led me to the Dog Park Finder app. 2. 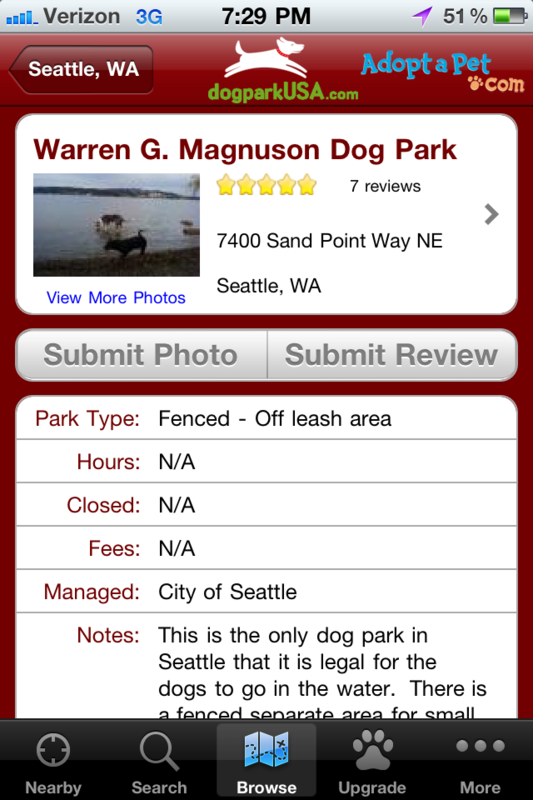 Read through the Dog Park Finder’s specs. 3. If you like what you see, click “Install” in the top right corner. 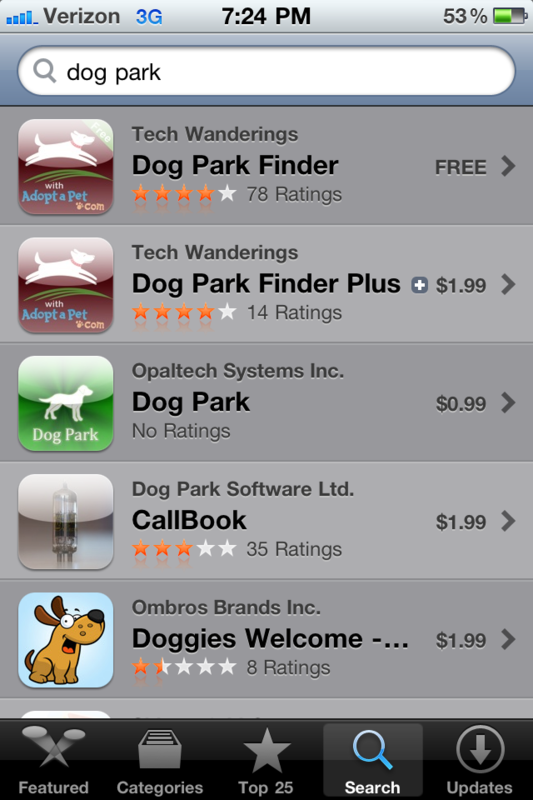 Navigating the Dog Park Finder app is pretty intuitive. 1. 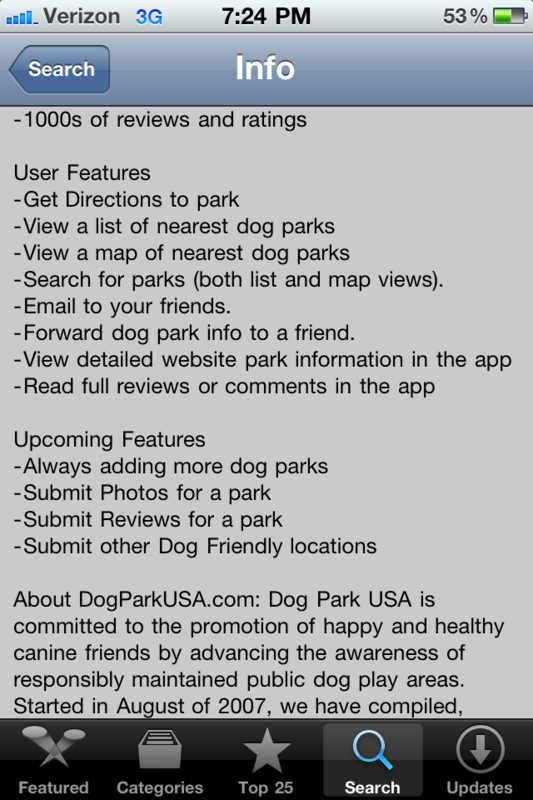 Set your Location setting to “On” for this app and when you open it, you will see a map of nearby dog parks under the “Nearby” tab. 2. Use the “Search” tab to find parks near you. 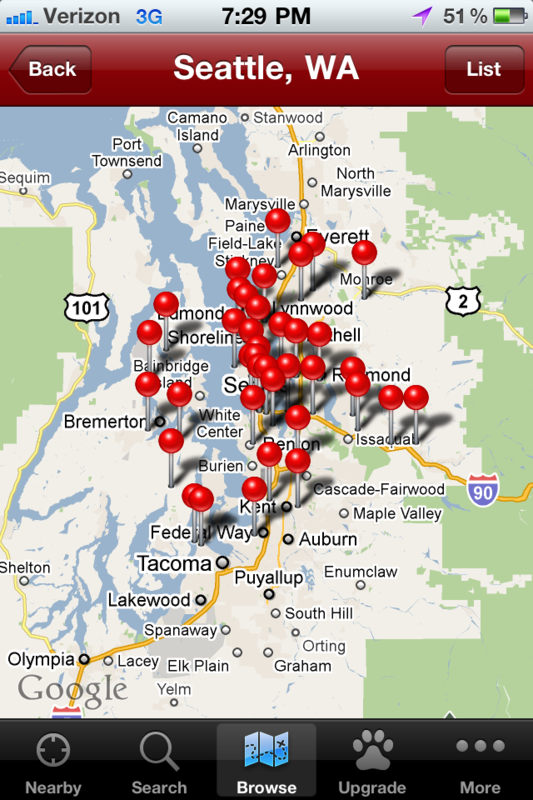 Type in a zip code or the city that you’re interested in. 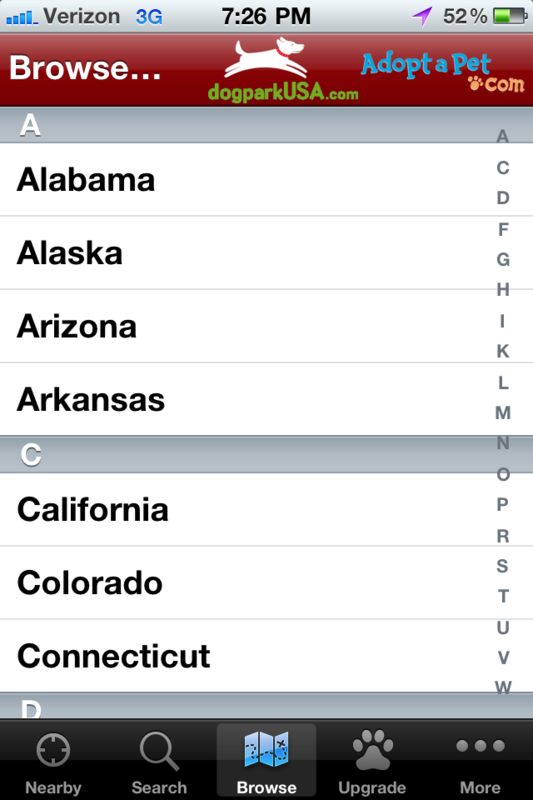 Or, use the “Browse” tab to narrow your search down from a list. I typed in “Seattle” and this is what popped up. 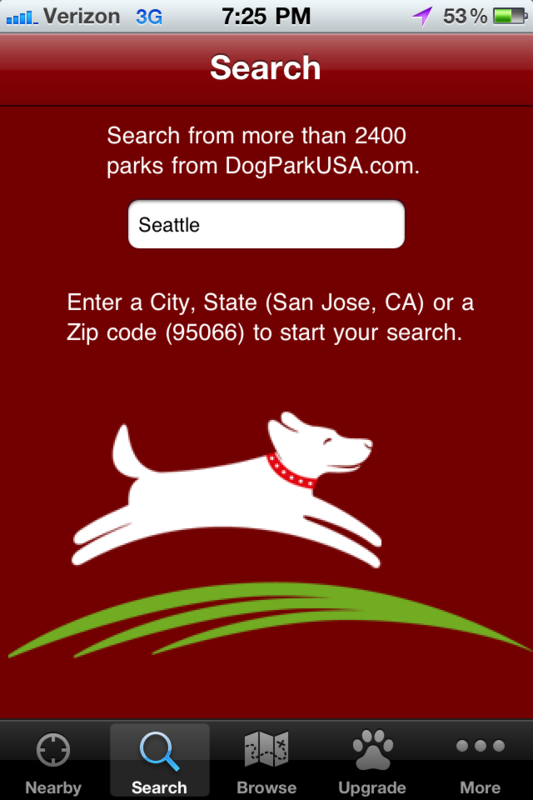 From this screen, you can either click on a red dot for specific dog park information or switch to the “List” view. The “List” button is in the top right corner of the app. If you know what park you’re looking for, I find the “List” option to be easier to navigate. However, if you just know a general area, the map may be better. 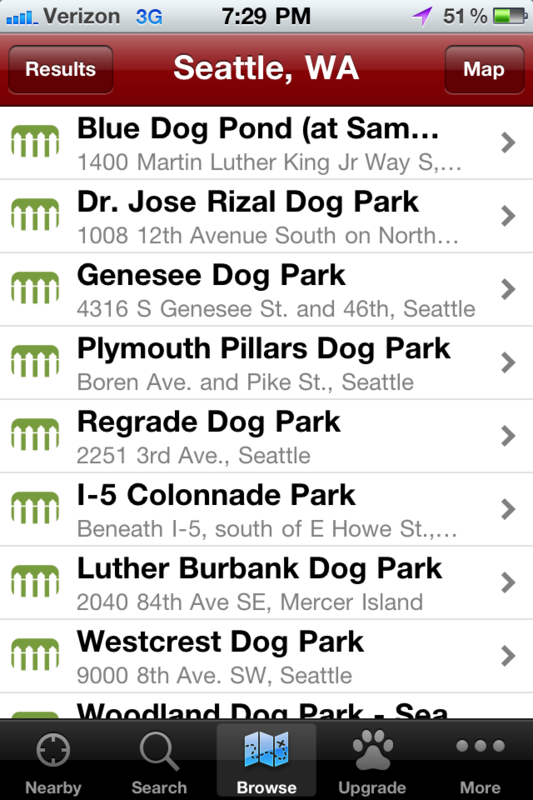 Select a dog park to see specifics. 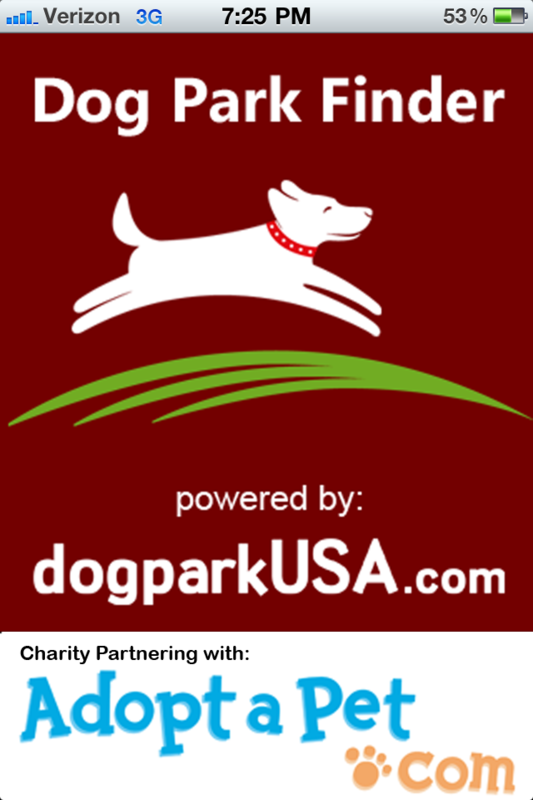 Here you’ll find the dog park address, reviews from pet owners, photos, and other bits of information. 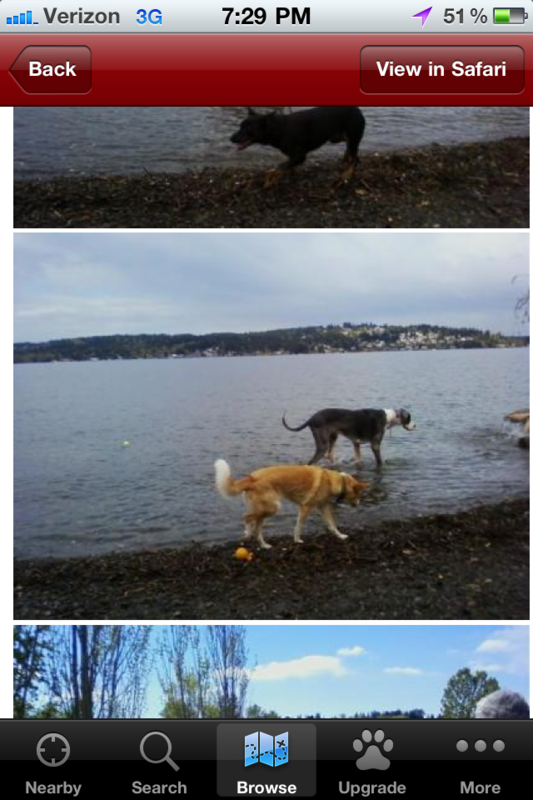 Not every dog park has photos, but the Warren G. Magnuson park does. 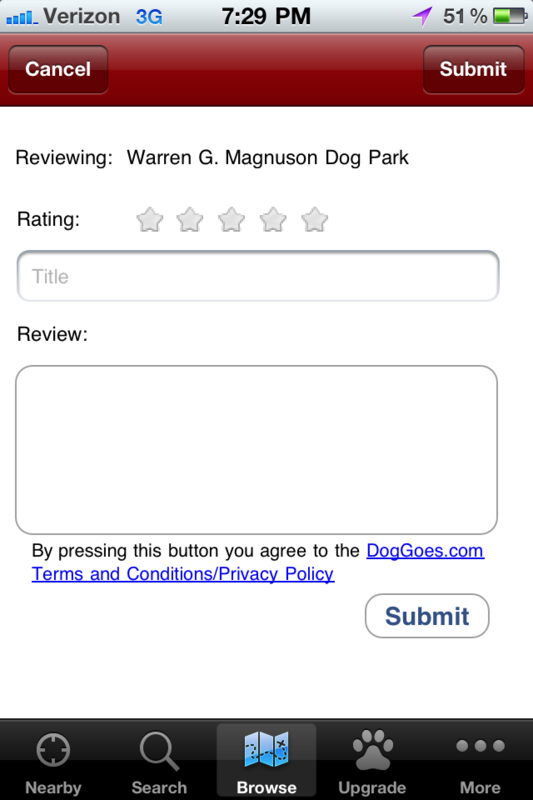 Once you’ve visited a dog park, you can submit your own rating! We here at Her Dog Blog like the Dog Park Finder app. It’s free, it’s easy to use, it’s data-rich, and it’s F-U-N! Any iPhone or Driod users out there discovered any cool pet-related apps? 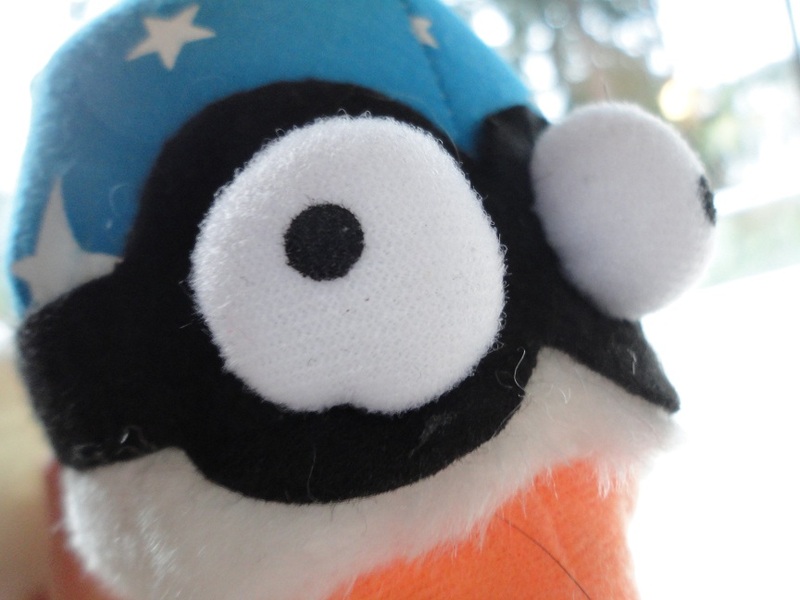 Posted on April 12, 2011 April 12, 2011 by Shannon	This entry was posted in This 'N' That. Bookmark the permalink. Fabulous! Teton isn’t a huge fan of dog parks (he’s a little shy) but I still think the app is awesome! Of course! 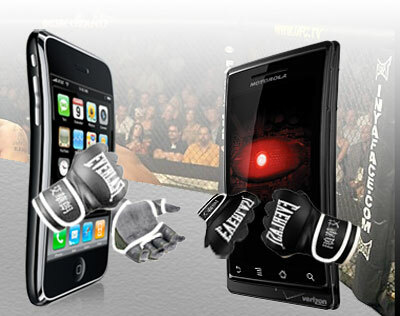 It’s a pretty legit app! Thanks for reading, Melissa!! !